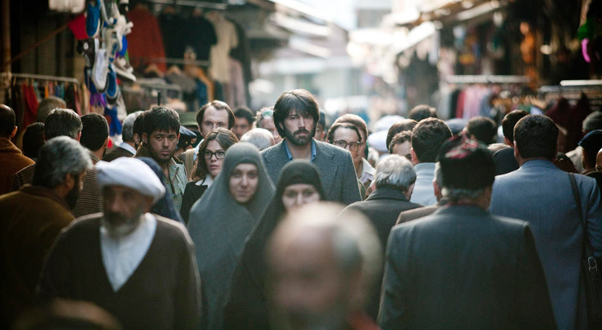 Top Movies of 2012: #4: A Man Without a Movie Or: Let’s Argo to Iran! A good screenwriting teacher will tell you that the most important pages of your script (at least in the reading stage) are the first ten and the last ten. Oftentimes, this is what separates an optioned script from one that goes into the trash heap. In Argo’s case, those sections are what make the film go from an interesting historical film to a superior, tension-filled Oscar-winner. Anyone that grew up around 1980 probably remembers this particular story, or at least, the story that the CIA told up until the mission was declassified. For me, though I knew the story of the Iranian hostages, I did not know this particular facet of the story, so it was nice to be able to go in fresh and almost receive a history lesson. The film is an, admittedly, dramatized telling of how the CIA managed to fake a movie production in order to extract six American Embassy personnel out of Iran. The fake movie-within-a-movie is Argo, a sci-fi Star Wars-rip that just so happens to take place in an alien desert landscape, making Iran the perfect place to shoot. With the help of a couple of Hollywood vets, the CIA lays the groundwork to send operative Tony Mendez into the heart of Iran to be the man to get the expatriates out. The film opens with a condensed motion infographic on the state of Iranian politics and the United States’ involvement with the constantly changing regimes during the time. It’s a great way to start a film set 30-years in the past, involving ambiguous political operations that aren’t exactly taught in high school history classes. It’s followed with a bang, as the next scene is the fall of the American embassy by a mob in the middle of a civil war. The scene is tense, well paced, and wonderfully staged and shot. This is easily Affleck’s biggest set piece since moving behind the camera, and definitely a scene of chaos and turmoil, which starkly contrasts his previous works, Gone Baby Gone and The Town. Even in The Town, when things don’t go according to plan, there is a sense of calculation in every character’s head; they know where they need to be and where they definitely shouldn’t be. The embassy scene, however, wonderfully shifts focus between inside the embassy and the scene on the other side of the gates. It’s a compare and contrast done through such perfectly timed editing that ramps up the tension and immense feeling of dread throughout. Affleck’s work behind the camera continues to impress and with Argo, you can see that he is progressing in his skill and confidence in his own abilities. Gone Baby Gone is a fine, taut thriller with great performances, but it is directed with a somewhat hands-off approach, allowing the performances and writing do most of the work. Don’t get me wrong, this is not a slight to the film, but I only point it out to illustrate a sense of apprehension in a rookie director. With Argo, there’s a sense of confidence and bravado in Affleck’s work in front of and behind the camera that makes me believe that we got another entry in the list of actors-turned-great directors. While the scenes taking place in Iran play out like an intense spy thriller, the scenes in Hollywood have the air of an upbeat heist movie along the lines of the Ocean’s Eleven series. 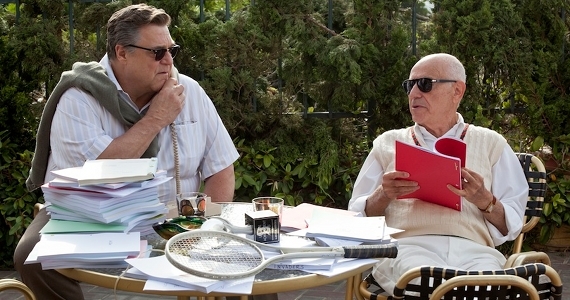 This is due in large part to the fantastic supporting performances by both John Goodman and Alan Arkin. You would be hard-pressed to find better character actors working in movies today, and they justly steal every scene they are in. I wouldn’t go so far as to call it the comedic relief aspect of the film, as it would belie the important roles they each play in carrying out the plan, but it’s a pressure valve that allows the audience to breathe just a little bit. They seem to enjoy the idea of not only scamming all of Hollywood, but also Iran and it’s truly enjoyable watching these two working together. The rest of the supporting cast is top-notch, especially the group playing the hostages. It’s a collection of recognizable faces like Tate Donovan, Clea Duvall, and Rory Cochrane, but no one too famous. This works to the film’s advantage, as you are trying to believe that these people are merely office workers and what lie ahead of them is far over any of their heads. You believe them to be real people and the tension and apprehension within the group is palpable. This anxiousness is no more evident than the group’s trip to the marketplace for “location scouting”. Between being trapped in the van as a demonstration blocks the road to trying desperately to escape the bazaar all in one piece, the sequence is a pressure cooker as the group is essentially behind enemy lines. It’s well paced and perfectly directed by Affleck. As this film ranks #4 on this list, I would say that I wouldn’t have voted for it for Best Picture, but I’m not complaining about the choice. Argo is deserving of the honor, as just about every nominee was this year; I wouldn’t have had a problem with any of them taking home the statue. I’m glad for Affleck, however, because it’s a great story of a great comeback. Previous Previous post: What the F*** Did I Just See?